The Law Offices of Gary K. Walch, A Law Corporation, is your personal injury and accident attorney for Canyon Lake. We have 40 YEARS OF EXPERIENCE YOU CAN TRUST! Call us IMMEDIATELY at 1-866-INJURY2 for a FREE consultation. If Canyon Lake had to be described in one word, it would be unique. 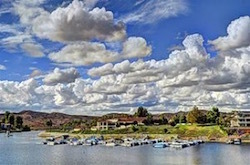 Founded in 1968, by the Corona Land Company, Canyon Lake started as a master planned community and was one out of five gated cities in the state of California. The Lake originally was formed in 1927 after Railroad Canyon Dam was built. It covers 383 acres and has 14.9 miles of shoreline. 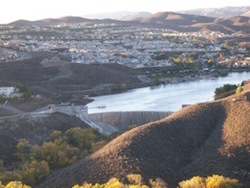 Canyon Lake was unified as a city on December 1, 1990. 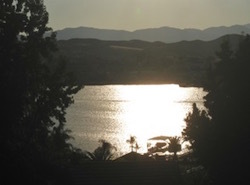 Canyon Lake comprises a population of 10,647 and stretches 4.6 square miles. 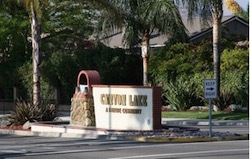 You can’t be in Canyon Lake unless someone living here invites you inside the community. Even the one local community church is outside the gates…which are manned 24/7. They have their own security and their own set of rules. Example: absolutely no motorcycles. However, lots of watercraft zip around on the lake. So, there could be injuries and the fire and paramedics are county authorities located far away. Canyon Lake Lodge, Canyon Lake, Riverside, Calif. The Law Offices of Gary K. Walch, A Law Corporation, comprises a team of caring, compassionate and hard working attorneys for the city of Canyon Lake. Our goal is to assist the people of Canyon Lake in handling your injury claim, dealing with insurance companies and large corporations. Our experienced staff makes sure taht your situation is as bearable and painless as possible for our clients and their families. At the same time, our firm is committed to providing our clients with our 40 years of expertise in all areas of personal injury law, while aggressively pursuing your rights and all appropriate remedies. We will use our experience to be tough and do what's necessary to protect your rights and interests. We have successfully resolved thousands of accident, liability and personal injury claims throughout California, recovering millions of dollars for our clients. Our whole team of experienced lawyers concentrates in handling personal injury cases and we have won over 95% of our cases. We cover the full spectrum of accident, injury and wrongful death incidents; call us for a FREE consultation now. Railroad Canyon Dam built in 1927 enclosing Canyon Lake, Riverside, Calif.
Is the other party uninsured and you are covered? Contact us right away. We are the one’s to call for the very serious claims of catastrophic injury or wrongful death. Do not hesitate. Get in touch with us now. Remember, there is absolutely NO FEE until your case has been won.